This is the 50th Anniversary Christmas Ornament! 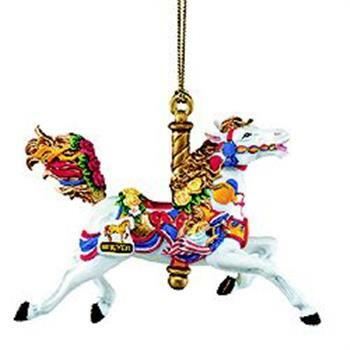 An echo of our large porcelain carousel horse, this colorful ornament dances wherever you put him. Made of fine porcelain, he is hand painted and decorated with gold accents, and hangs from a tasseled golden braid.